The New Mexico State Fair is so much more than an annual event. For a few short weeks, it brings together some of the best entertainment and events New Mexico has to offer. 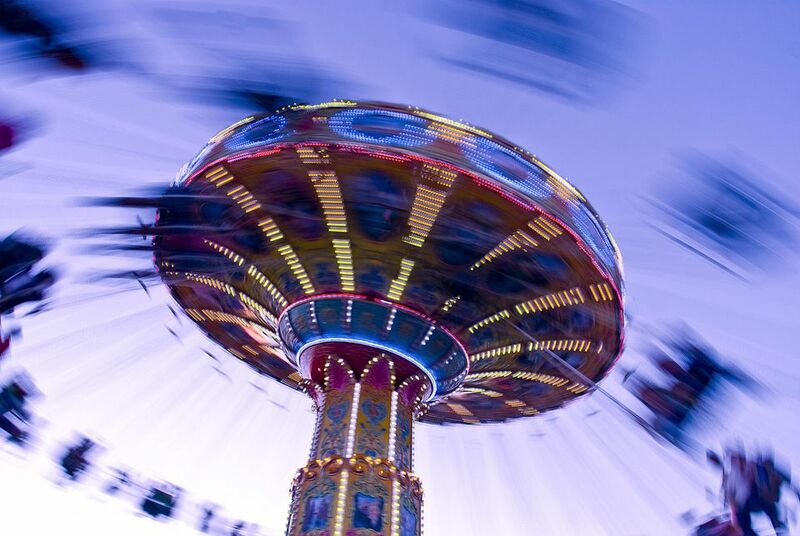 As the summer season cools down, the days and nights are perfect for spending time at the fair. Be sure to add it to your entertainment lineup to see what’s new in food, exhibits, competitions and special themes, because they change every year. The New Mexico State Fair takes place in Albuquerque at the Expo New Mexico Fairgrounds, with Louisiana to the east, San Pedro to the west, Central to the south, and Lomas to the north. When Is the New Mexico State Fair? The 2017 New Mexico State Fair runs from Thursday, September 7 through Sunday, September 17. The fair will run 10 consecutive days. Everyone loves a parade, and the State Fair parade never disappoints. The parade starts 8:45 a.m on Saturday, September 10, starting at the corner of Louisiana and Central. The parade will travel east to BEFORE Eubank Boulevard. The theme days at the New Mexico State Fair change each day. Be sure to find out when to go to maximize your visit. State Fair admission prices have stayed the same since 2007. Children 5 and under are admitted free. The State Fair has a lot going on, and you don’t have to spend a lot to have a good time. Many activities are free once you have paid the entrance fee. Visit the 4-H exhibits, McDonald’s Farm, the rodeos and more, all at no charge. The highly regarded Reithoffer Shows are on the midway this year. The Midway carnival opens Monday through Friday at 2 p.m. and Saturday and Sunday at 10 a.m. Kiddieland opens at 10 a.m. every day. Kidsway Carnival, located north of the Indian Arts Gallery, will open Thursday, September 8 at 10 a.m. and run throughout the Fair. For many, especially the kids, the Carnival or Midway is the ultimate destination at the fair. Mega bands can be purchases at the State Fair and are valid on weekdays. Purchase a Mega Pass for $28 at Walgreens through September 9, which includes free admission to the Fair and the wristband valid on any day of your choice. The rodeo includes the barrel racing you'd expect at a rodeo, but live music is part of the venue every year, making this a bargain entertainment ticket. Rodeo/concert tickets are $15 - $35. Admission to the State Fair is included for all Rodeo-Concert tickets.. Rodeo-concert events begin at 6:45 p.m.
Concerts take place in Tingley Coliseum, during the PRCA Rodeo. This year's concert lineup features a full line of country music stars. See the concert schedule for complete details. The State Fair opens at 10 a.m. every day. General hours of operation are from 10 a.m. to 9 p.m. Sunday through Thursday; Fridays and Saturdays from 10 a.m. to 10 p.m.
Rodeo concerts: the doors open at 6 p.m.; rodeo begins at 6:45 p.m.; concert begins at 8:30 p.m.
Exhibit Buildings are open 10 a.m. to 9 p.m. daily. the Entertainment Stages: (times may vary daily by stage) are open Monday through Friday, noon to 9 p.m.; Saturday and Sunday, 11 a.m. to 10 p.m.
Tickets can be purchased prior to the fair opening at the State Fair Box Office. Find it just inside Gate 3 off San Pedro, between Lomas and Central. The office has turquoise awnings. Current box office hours are 10 a.m. to 2 p.m.